Fiery and modern. 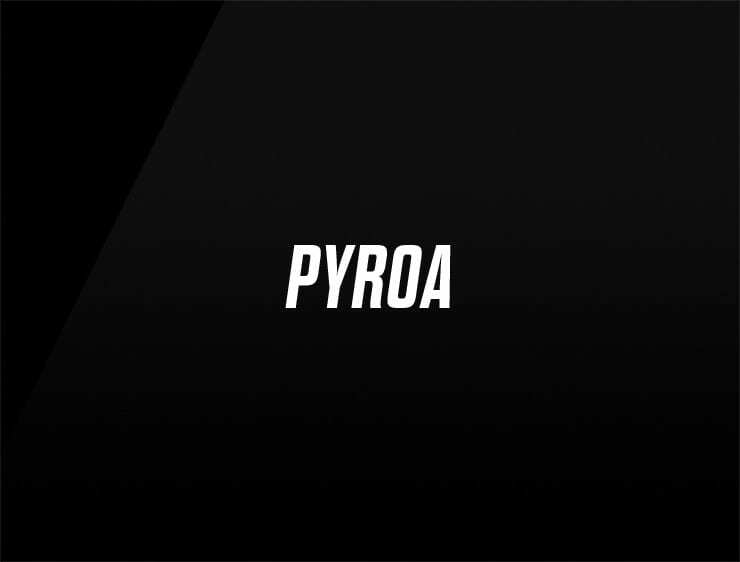 This peculiar business name ‘Pyroa’ evokes ‘pyro’. Can also recall ‘rojo’, meaning ‘red’ in Spanish. Roar if you want it! Possible fits: Advertising agency. Marketing agency. Fintech. A research firm. Fashion. Perfume. Make-up. A publicity firm. A publisher. Communications company.